Blowing Rock is home to a number of charming spas. 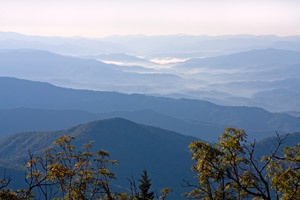 What better setting for a wellbeing resort than the pristine Blue Ridge Mountains of North Carolina? If you’re hoping to indulge in a pampering session, you’ll have plenty of places to consider. Better yet, give them all a try. Whether you’re a fan of body wraps, massages, or beauty treatment packages, you’ll be able to pick from the finest services. Revitalizing and beautifying is easier than ever when you live within miles of a handful of spas. No matter where your potential home may be, you’ll be within easy access to the below destinations. Check out their locations and read select reviews to help you choose which one to visit first. From a cabin on a back road to a condo near town, there is an array of homes for sale that will put you in close range to these spas. Browse listings to see the market of Blowing Rock and discover the perfect arrangement for you. Spas aren’t the only points of interest you’ll have the pleasure of residing by. Family attractions like Tweetsie Railroad and Appalachian Ski Mountain top the list, along with the Tanger Outlets and the town’s namesake, the Blowing Rock. There is quite the personality in this rather small mountain town. Those who live here are continuously finding more things to love about their home.